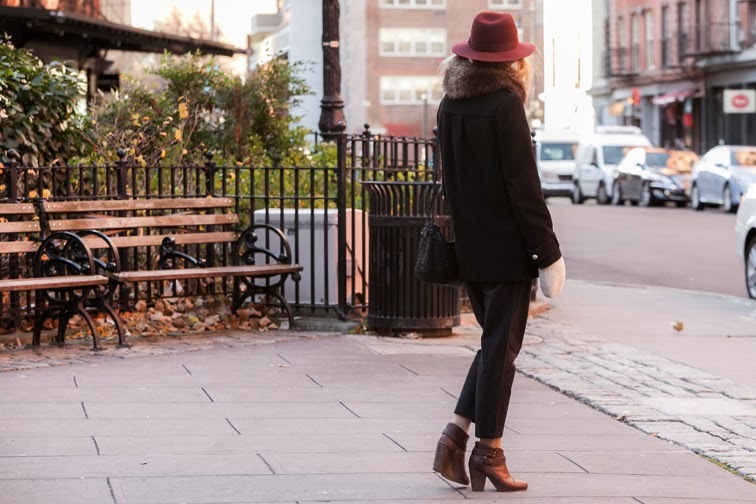 The topic of dressing for cold weather is getting to be a recurring subject on this blog, but the season is nowhere near over and therefore an ongoing issue. 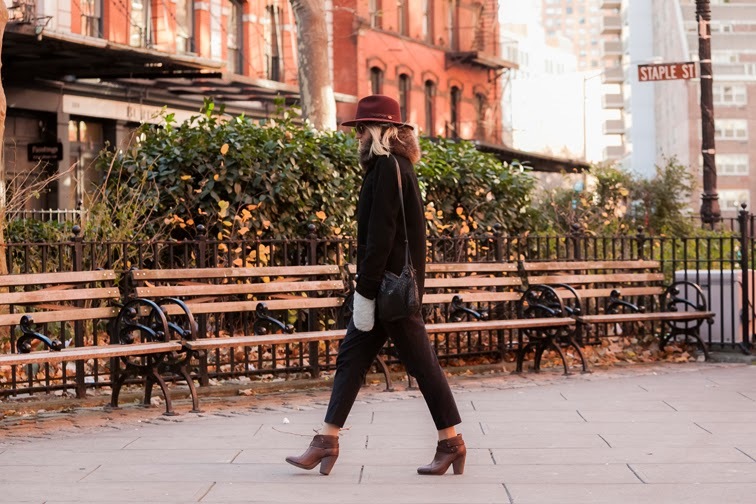 When you're lucky enough to live in a place where winter is not inflicted with snow, you can still wear normal shoes even if you need to bundle up (read: retain your sense of style pride), which is thankfully the case in NYC most of the time. We shot these photos on an extremely cold, windy day but somehow being on the beautiful streets of peaceful Tribeca made up for it. Moving right along onto a more interesting subject: the pinstripe trend. It became one of the season's biggest must-haves when Stella put it down the runway and admittedly, when Stella says jump, I say how high. There was no way I wasn't partaking in what was to become the pinstripe craze. While the actual stripes I'm sporting are teeny weeny and barely visible, these super cute cropped newsboy shape pants are indeed in the trendy pattern typically reserved for menswear. What are your thoughts on pinstripes? OMG! Great pics, amazing outfit! What an amazing look! I just love your boots and that hat! Beautiful look. 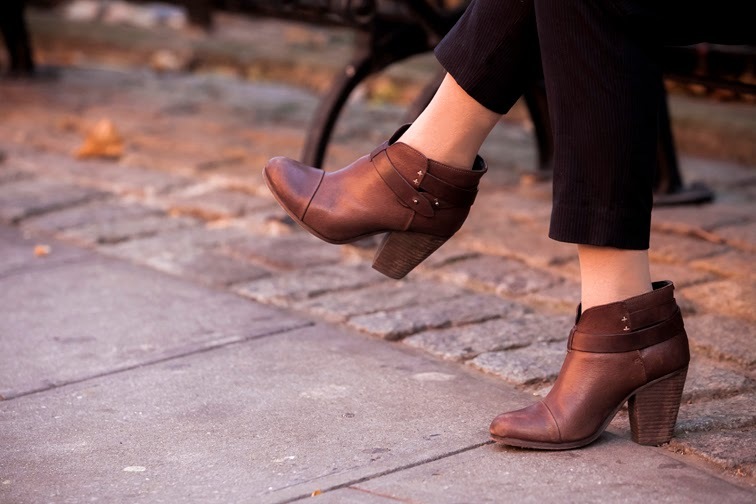 The shoes have so much character, they look very chic! gorgeous shots! i LOVE your mittens! 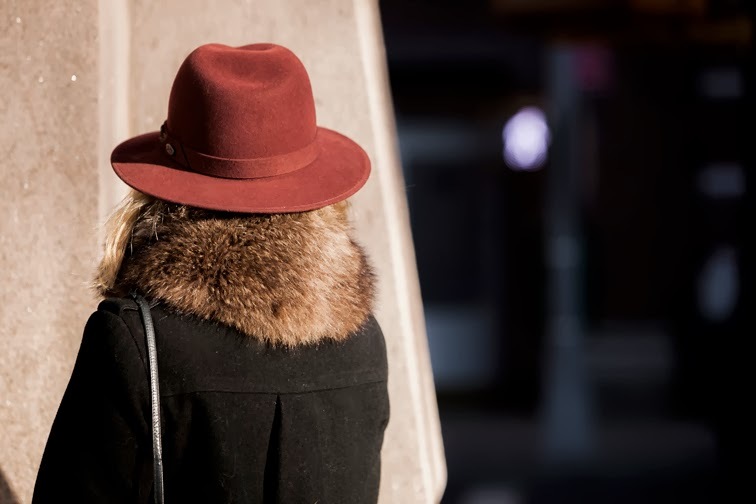 well, you prove that you can still look incredibly chic and cute in cold weather! love everything about this look. 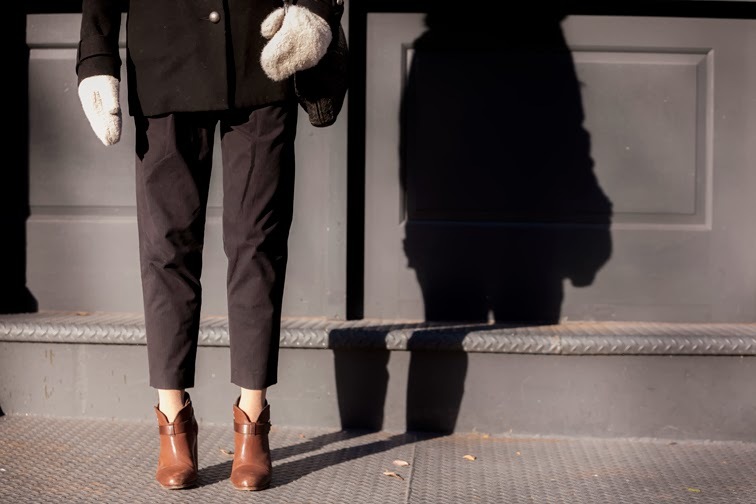 Waaah Helene, you make styling these pants look effortless! They're definitely a shape I'd personally run a mile from. And that hat is literally the icing on top of a fabulous cake. The hat really makes this look! I absolutely love it. I stumbled upon your blog today and am now following along with you! Direi: bella, calda e tronchetti fantastici!! Definitely a yes to pinstripes! Love that jacket. 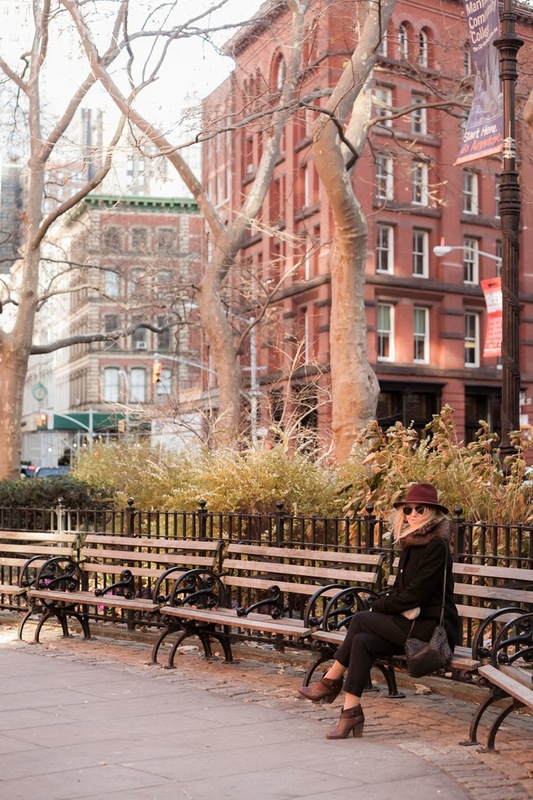 You make bundling up look very stylish. I must admit, weather-wise, I don't mind the snow at all, and it's the rain that I cannot stand when it comes to dressing up.